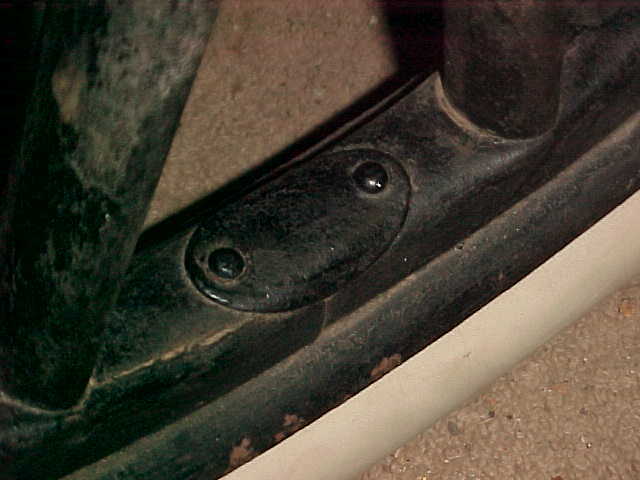 does anybody have any documentation that 1911 wooden wheels had either H,K,P or were blank on the felloe plates? I know the judging guides say H,K or P is correct. 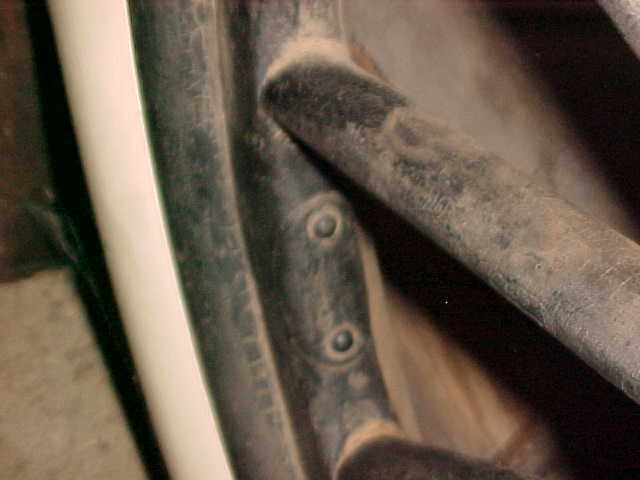 No documentation but these wheels are believed to be original to the car, showing evidence of maintenance over the years. 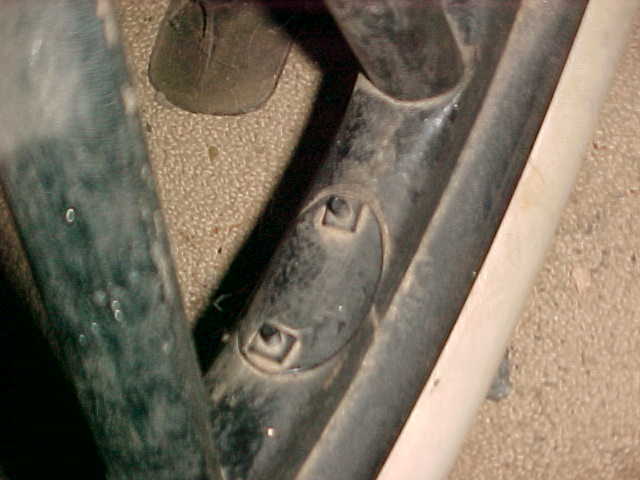 Splice plates appear to be unmarked. Phil -- You'll need to scrape some of that nasty old paint off those plates so we can see whether there are any letters under it. The "lettered" plates I have & seen have a very pronounced stamping, Mike - I believe it would stand out from the paint. Phil, what do you think of the screws and square nuts? I thought they were always riveted like in your other picture. Wooo what a pretty car, I think it could use a new top though. I've got a couple of layouts for wood felloe one square and one round, but was never sure as to which plate(s) went with what year or what span of years they applied. My 1911 has the original wheels and they do not have letters on the plates. 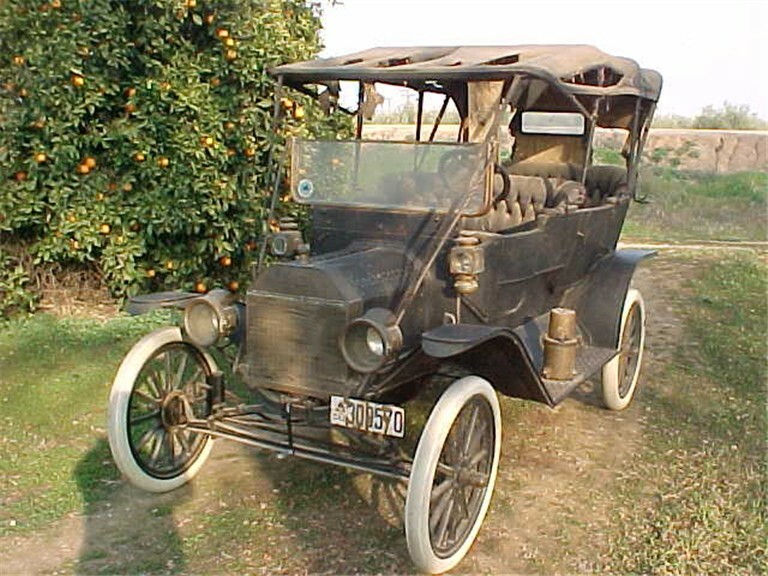 I have a set of Pruddens on a July 1913 car. P on the plates. 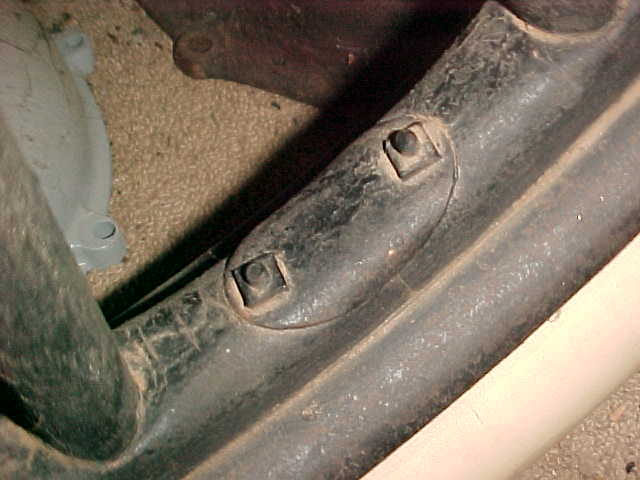 On the rears, they are stamped inside the rim "Manufactured by W.K.Prudden Co. Lansing Mich.", followed by "30 over 3 1/2".